As the first weekend of the 2015 deer season comes to an end, and with the weather cooling drastically, it seems that by folks’ Facebook and Twitter post lots of you are seeing deer. That is good news, after last seasons battle with Epizootic Hemorrhagic Disease (Blue Tongue), I was concerned that we had lost a lot of our herd here in North Carolina. I have seen quite a few trail cam photos of nice mature bucks, younger bucks as well as an abundant amount of doe for them to mate and carry the upcoming spring crop of fawns. I myself have already seen more deer this year than all of last season. 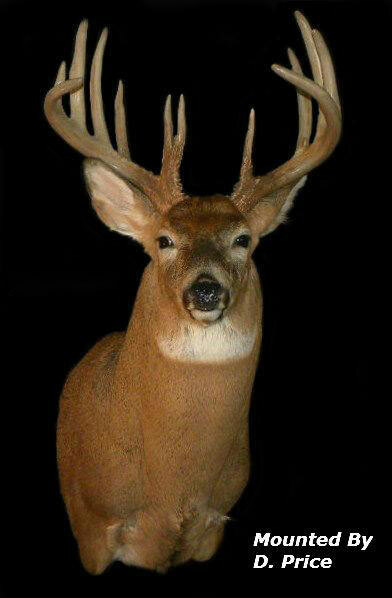 With that said, lets keep in mind this season if you see smaller bucks, especially if they appear to have good genetics let them walk so they can grow and pass their genes on to future generations. There is a very good possibility that these younger Whitetails you are seeing, whether they be a buck or doe are actually carrying the antibodies to fight EHD by either surviving it last season or from their parents passing it down to this seasons yearlings after surviving it themselves. Either way it is a win win situation for the herd and the hunters. If you have the opportunity to harvest a trophy buck by all means take him, and fill your freezer with venison for the winter, just be a little more selective of what you are harvesting. Most of all if you are hunting just for the kill, please take the time to process the meat or at the very least donate it to the hungry, there is no excuse for wasting our precious resources. If you are not sure what to do with the meat feel free to contact me and I can point you in the right direction. Remember to be ethical and and practice safety first. Hope you have a great hunt.